Each week, armed with the joy, heartbreak, and frustration of 30+ years of reading X-Men comics, we read every new X-book that comes out, recap the events, provide some back-links to Marvel Unlimited, and wonder when Marvel will let Chris Claremont write something again. Seriously, how do you have the greatest writer in the history of comics on the payroll and just not use him for anything? 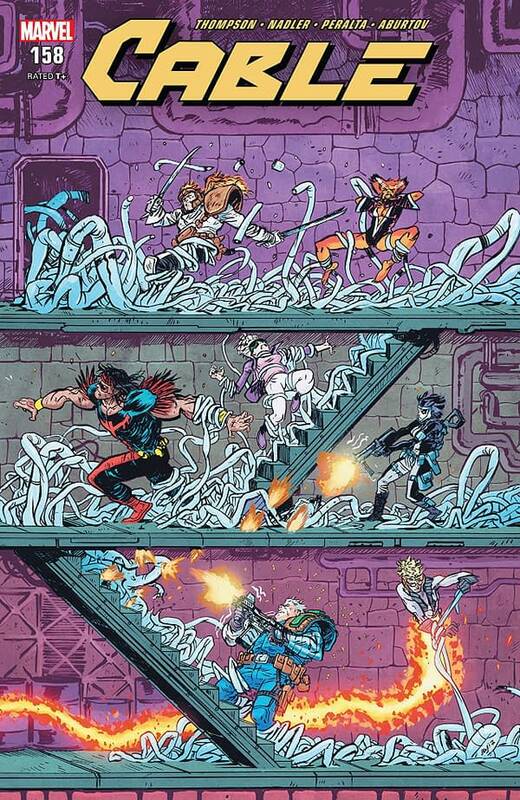 • CABLE and the X-FORCE discover a horrifying secret inside STRYFE’s secret base. • Will Cable’s past fears destroy his team? Holy crap, that cover! Holy crap! Yes, that’s the kind of insightful commentary you can expect to find here in X-ual Healing, new reader! The Past Fears storyline continues in an issue set after X-Force #2, otherwise known as the peak Liefeld era. After a brief flashback to Cable’s childhood. Kid Cable is playing with some friends when Metus attacks. Or at least Cable thinks so. When he tackles his friend out of the way, Metus is gone. 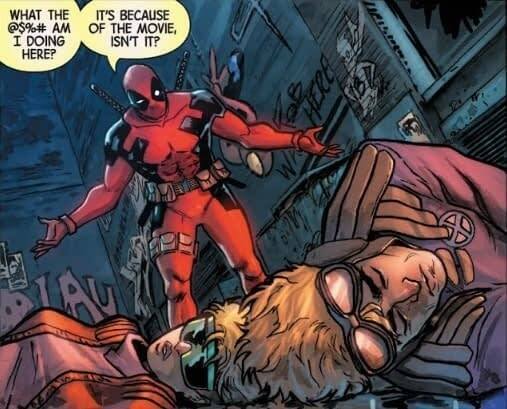 And Deadpool is actually funny for a change. That’s refreshing. Deadpool gains the upper hand in both combat and wisecracks as the team tries to attack individually. Cable tells them to act like a team, and they’re able to turn the tide. After the sequence ends, the team barely has time to catch their breath when a new simulation starts. Okay, that’s messed up. Metus appears, impersonating Warlock, who was just recently killed by Cameron Hodge during the X-tinction Agenda X-over. The team doesn’t realize this isn’t a test, and X-Force quickly gets their butts kicked by this terrifying manifestation. Finally, Cable blows open the door with one of his giant guns, his techno-organic virus out of control as it tends to get whenever Metus is around. Metus shows Cable that it can kill X-Force if it wants to, and blames Cable for wronging it in the past, when he was a kid. Domino is nearly killed, and Cable knows it’s his fault for being too afraid to tell the truth. That doesn’t make him any more forthcoming with X-Force when they demand answers, leaving them more mistrustful of their leader than before. This was a great throwback to the peak Liefeld era. Though the art is nothing like Liefeld’s style, it captures the spirit of the era in terms of personality. The story fits neatly in the space in continuity where it takes place, and enhances the original stories by exploring Cable’s relationship with the former New Mutants around that time. Deadpool actually made wisecracks that were funny, as a special bonus. If this issue were a tryout for the creative team to get an X-Force ongoing with the classic lineup, they definitely got the job. And have we mentioned that cover? So many covers today are boring pin-ups that don’t tell you anything about what’s actually inside the book, but once in a while, someone really gets it and nails an incredible cover like this, showing an exciting action scene representing the story in the book (the original X-Force vs Metus, a techno-organic monster). All it’s missing is a good caption or two, but we’ll respect the stylistic choice not to have one. 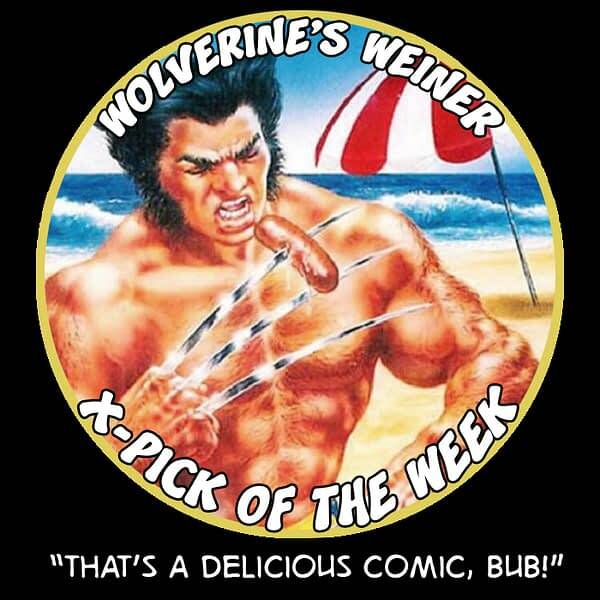 Obviously, this book is the Wolverine’s Weiner X-Pick of the Week. Congratulations to the creative team. 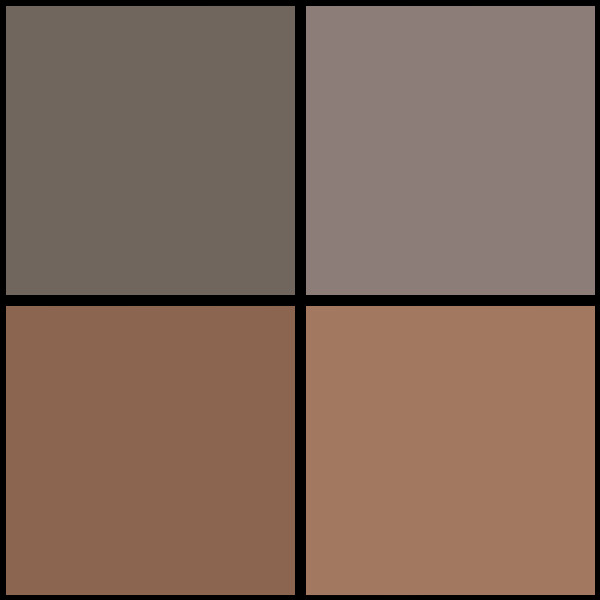 Lots of changes were happening in the period that this comic takes place. 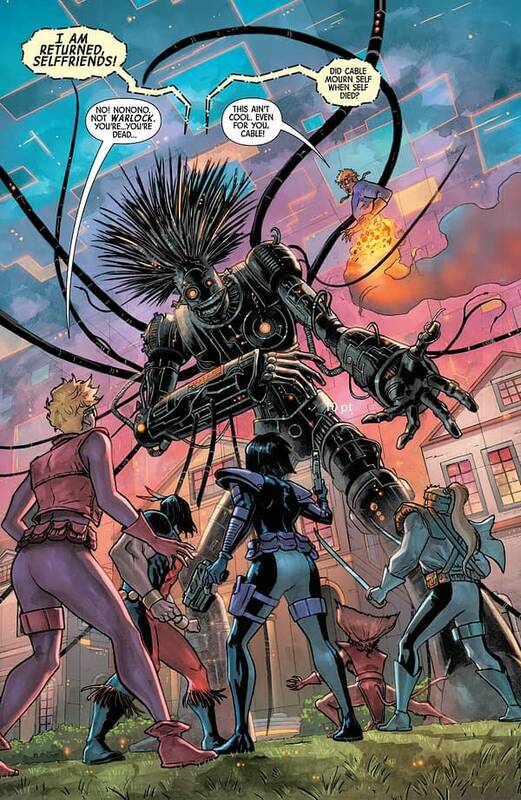 Cable becomes leader of the New Mutants in New Mutants #90, after first appearing (as an adult) in New Mutants #87. Warlock was killed during the X-tinction Agenda X-over event, which ran through Uncanny X-Men, X-Factor, and New Mutants. It was the culmination of a lot of things the great Louise Simonson was doing in both X-Factor and New Mutants. It was also nearing the end of Chris Claremont’s original run on Uncanny X-Men, something we’ll never forgive Bob Harras for. After that, there’s just three more issues before New Mutants reboots into X-Force #1. This story takes place after X-Force #2. Read it all on Marvel Unlimited!